This year 2016 is going to change many things for sure. Trends do change and that makes them interesting and happening. 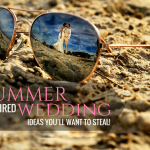 This year, it is expected that the wedding trends will see a huge, definitely interesting, shifts. 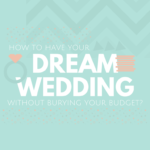 So, you need to get ready for the weddings you are planning to attend. Right from the wedding ceremony to the groom’s gown and from the bride’s hair-do to wedding invitation cards (which are based on trendy wedding monogram guides) everything is expected to change. Hold tight, as this will be very overwhelming for you. 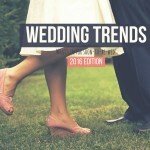 Here is a video featuring and highlighting just a few unexpected and unusual wedding trends of 2016. For instance what a better way to bring smile to everyone’s faces by singing the toasts or singing the vows; this adds so much fun and liveliness. On the contrary, dancing up and down the aisle is a great way to add joy in the wedding. These trends are quite interesting in their own. Plus, the arrival and exits can be grand, yes grand in terms of fun! And a lot more other trends await for you like some cute and nice changes in wedding monograms etc. We are sure you will enjoy them thoroughly. By the way, do share your most favorite trend out of these 13, in addition you can share your distinctive choice as well. Azmat Batool is an Online Reputation Management Pro and Blogger. Her writings focus on providing wedding resources for would-be couples, lifestyle hacks, brand management, and awareness on feminism, using a variety of sites to leverage her voice. She is also a fashion enthusiast and loves to write about latest fashion trends.